Shanghai claimed on Saturday that it has become the world's first district using both 5G coverage and broadband gigabit network as China seeks to establish lead over the US and other countries in the race to develop next generation cellular mobile communications. 5G is the next generation of cellular technology with download speeds that are 10 to 100 times faster than 4G LTE networks. Shanghai has developed what it claims to be the first district boasting both 5G coverage and a broadband gigabit network, the state-run China Daily reported. Trial runs of the 5G network, backed by state-run telecom carrier China Mobile, officially started the service in Shanghai's Hongkou on Saturday, where 5G base stations had been deployed over the last three months to ensure full coverage, the report said. During a launch ceremony, Shanghai vice-mayor Wu Qing made the network's first 5G video call on an Huawei Mate X, the world's first 5G foldable, AI phone, it said. When fully operational, subscribers stand to avail of the same service without having to upgrade their SIM cards, it said. Huawei, China's telecom technology giant, whose revenue in 2018 crossed $100 billion, is battling a wave of opposition to its 5G trials from the US and different countries. The 5G stations are being installed in different parts of China, including Tibet, as part of Huawei's plans to lead the 5G trials despite the opposition. The US has been pressurising countries it has closer ties to ban Huawei and other Chinese telecom firms from providing gear used to build 5G wireless networks. Huawei has denied official links with the Chinese government. China has also protested to the US about its efforts to extradite Huawei's CFO, Meng Wanzhou, who has been arrested in Canada to face prosecution for violations of US sanctions against Iran. Meng, daughter of Huawei owner Ren Zhengfei has been accused of allegedly misleading banks about the company's business dealings there. Zhang Jianming, deputy director of the Shanghai Municipal Economic and Informatisation Commission, the local telecom and industry regulator, said Shanghai city aims to build over 10,000 5G base stations by the end of this year, and that figure is expected to surpass 30,000 in 2021. A comprehensive deployment of the network, which transmits at least 10 times faster than 4G at peak rates, will help develop industrial manufacturing, internet-connected cars, healthcare and smart city management, Zhang said. Zhang further said that these are all strategically critical industries for both Shanghai and China. "Shanghai also targets to nurture over 100 innovative companies specialised in exploring 5G-related application scenarios, whose industrial output is expected to reach 100 billion yuan (USD14.9 billion) by 2021," he said. Jian Qin, vice-president of China Mobile, said it has invested the most in Shanghai to date to help the city expand its 5G trial network and related applications. "China Mobile has invested the most in Shanghai to date to help the city expand its 5G trial network and related applications, because it is the most developed city in China with rather solid infrastructure in many aspects," he said. Liang Zhiqiang, China Mobile's Shanghai deputy general manager, said the city's sound economic environment, systematic industrial outlay, huge market potential and vast talent pool have given it a unique edge in information technology. In February, Shanghai announced a 5G deployment program in Hongqiao Railway Station, where users will be able to watch live broadcasts of town hall meetings and avail of lightning-quick downloads of high-resolution movies, when mobile devices such as 5G-powered phones and tablets become available. 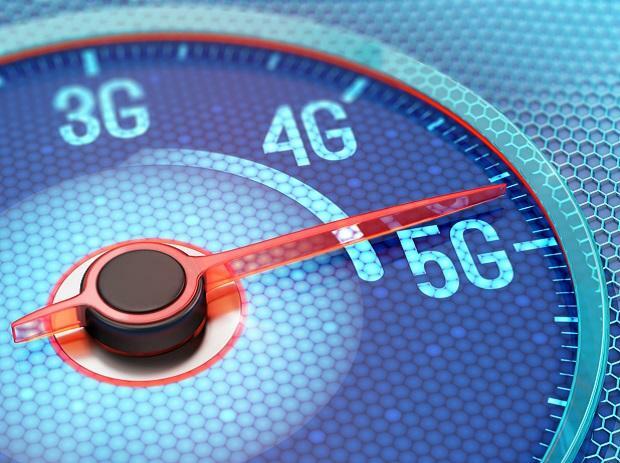 Apart from speed, 5G also enables high-definition transmissions in real time (which means low latency) and will bolster development in the internet of things industry.